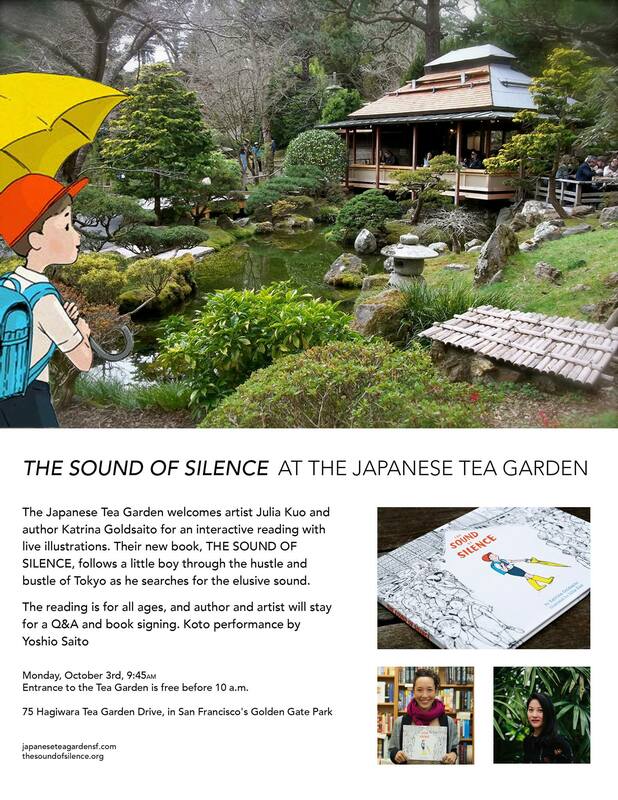 The Japanese Tea Garden welcomes San Francisco author Katrina Goldsaito and Taiwanese American artist Julia Kuo (who we have interviewed before) for an interactive reading with live illustrations. Their new book, THE SOUND OF SILENCE, follows a little boy through the hustle and bustle of Tokyo as he searches for the elusive sound. The reading is for all ages, and author and artist will stay for a Q&A and book signing.